Why is SuccessfulMatch on my bill? I signed up for singlescorral.com. Log-in to the site using your username and password then click on the "Reactivate" button. You will then receive a confirmation email after it's successful. Keep in mind that all reactivated profiles will be reviewed and approved by customer service before being posted. If you have any problems, email support@singlescorral.com . singlescorral.com makes it easy for you to post a photo. To upload a photo directly from your computer, simply click "Profile" in the top navigation bar and then select "Add / Manage Photos", and follow the instructions. 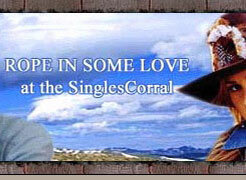 Sign in to singlescorral.com using your username or email address and password. 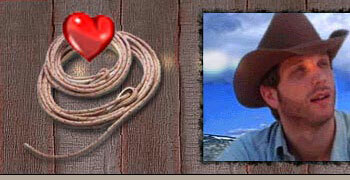 Attach the picture in the email and send it to support@singlescorral.com. Option 4: Add photo from our mobile site. After logging into your account from https://www.singlescorral.com/mobile in your mobile phone browser, you can go to "My profile" and tap the "Add photo" button to upload photos. We respect your privacy and will keep your actual email address confidential. To send anonymous email from your own email program, send email to: Username@singlescorral.com. If you want to use another email address of yours, change it first at My Account after login. To reply to email from other singlescorral.com users: just hit "reply" at your email account! When you reply to a Username@singlescorral.com, your real email address will be removed. The recipient will see only: YourUserName@singlescorral.com. (Note: If you reply to others from the sent folder or forward an email to other members from your registered email address, your personal email address will be disclosed to the recipient.) We do not save email sent through singlescorral.com. If you want to save email messages, save copies in your inbox. If the email you're sending is being returned to you, it could be that: you are trying to send to an anonymous username that doesn't exist. Be sure to check your spelling. The person you are trying to contact is no longer a member of singlescorral.com. You are sending from an email address other than the address that you used when you joined singlescorral.com. If you need to establish an email account, there are several Web-based services that provide email service free of charge. By establishing a free web-based email account and registering it with singlescorral.com, you can: Be organized by sending all of your singlescorral.com email to your Web-based email inbox rather than having it mixed in with your work or other personal correspondence. Send and receive messages from any internet-connected computer. Stay in touch with your matches even when you're out of town. After joining, if you'd like your singlescorral.com email directed to your new web-based email address, you must change your current registered email address in your Membership Info. 2. If you're not receiving any responses at all, be sure you're checking for responses at the email address you gave us when you signed up. It could be that your responses are simply landing at a different email address. If you are looking at the right address, also check whether you might have a Spam filter that's catching your EquestrianCupid messages. Check with your email provider about how to add singlescorral.com as a trusted sender. As a member of singlescorral.com, you get your own blog homepage. From your homepage, you can see all your posts, recent visitors, the most recent responses by others, and your responses to other member's blogs. 3. Pay by Checks and Money Order: Checks and money orders can be made payable to singlescorral.com. For detailed information, please go to "Update billing information" after login. Please make sure you include the name of the website you have joined (singlescorral.com), your username, email address and phone number. We will update your member status once your check or money order has been received. It may take 1-2 weeks from the day that you mail it. Try logging in periodically to see if your account has been updated. If you have any problems, please send your check or money order number, date when it was sent, real name on it, amount and email/username to support@singlescorral.com. SuccessfulMatch is the name of the parent company, which owns and operates singlescorral.com and many other dating sites. The purchase will show up in the billing statement under the name of SuccessfulMatch for billing purposes. In order for you to spend more time finding your match and less time paying the bill, your subscription will be auto-renewed at the monthly rate until you cancel your PREMIUM MEMBERSHIP. 3 and 6 Months packages do not renew. You can easily turn off the auto-renewal on the "Subscription status" page after login or email us @ support@singlescorral.com or call 1-416-628-1072. We strive to make singlescorral.com the best Horse Lover dating site available and are always trying to find ways to improve the site without additional cost to the members. There are other dating sites that offer free memberships, however, there are many expenditures involved in running a wholesome Horse Lover site. We encounter more obstacles than most websites due to content. PREMIUM MEMBERSHIP fees are necessary to maintaining site quality. Tech support, 24 / 7 phone & customer service support, broadband servers, programs and security are some of the few features that put singlescorral.com above the rest. You may be surprised to know that all the funds generated from singlescorral.com are what maintain singlescorral.com. Successfulmatch is the name of the parent company, which manages singlescorral.com and many other dating sites. The purchase will show up in the billing statement under the name of SuccessfulMatch for billing purposes. You have the right to cancel your subscription, without any penalty or obligation. For any full / prorated refund inquiry within a reasonable time frame or if you wish to make changes to your PREMIUM MEMBERSHIP please contact our 24/7 customer service 1-416-628-1072 or email us @ support@singlescorral.com, and we will be more than happy to help with your requests in one working day. Filing a dispute for a legitimate charge is often illegal and can be very damaging. Heavy fines can be levied against the business as well as the person making the claim. You can be added to a blacklist, possibly affecting future purchases and your credit rating. Before taking this route, please email us @ support@singlescorral.com or call 1-416-628-1072. If you're having trouble with the speed of our site, it's usually one of three things: singlescorral.com may be experiencing technical difficulty. We know what it's like to be in a hurry to find love, but please try again later. The connection on your end may be the cause. Double-check your modem settings or connection speed to make sure you're connected at the highest possible internet connection rate. The internet itself may be experiencing a traffic jam. Try again at another time when the information highway may not be so heavily traveled. Suspicious emails should be forwarded to support@singlescorral.com.